Product prices and availability are accurate as of 2019-04-05 07:14:14 EDT and are subject to change. Any price and availability information displayed on http://www.amazon.com/ at the time of purchase will apply to the purchase of this product. 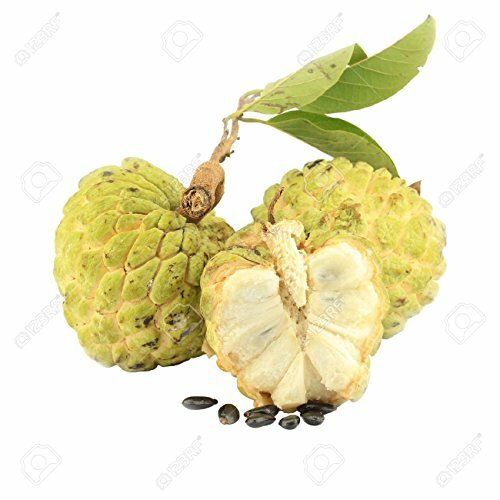 You are purchasing 10 of these rare seeds: Annona Squamosa - Sugar Apple This small, semi-deciduous small tree is very similar to the soursop. 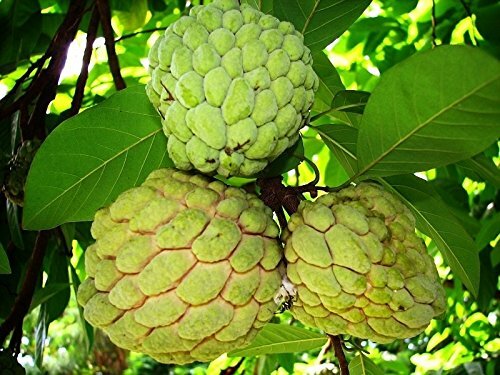 Its fruit--known as the sugar apple, sweetsop or custard apple--has a delicious, sweet white pulp and is very popular in its native, tropical markets. Originally from the tropical Americas, this subtropical/tropical specimen is adorned with greenish-yellow flowers in spring and early summer. Its fruit is an excellent source of Vitamin C, manganese, thiamin, iron, magnesium, phosphorus, potassium and various B vitamins.